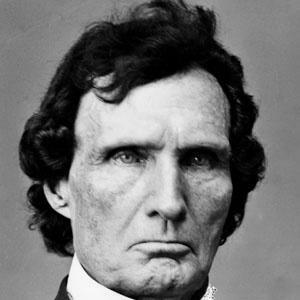 American politician who was a Congressman from Pennsylvania from 1849 to 1853 and then again from 1859 to 1868. He was one of the leaders of the Radical Republican faction of the Republican Party who fiercely opposed slavery. He was born with club foot, causing him to walk with a limp his entire life. If the first decades after his death he was considered a villain for his harsh treatment of ex-Confederates during reconstruction; then the view that praised him for his opposition to slavery took hold. Like in the film, 'Lincoln,' he did have a freed slave as his common-law wife - and his relationship was an open secret in Congress. Tommy Lee Jones portrayed him in the 2012 Oscar-nominated film, "Lincoln."